The time when we carried one internet-enabled device on us is long past. Nowadays, nearly every portable device is outfitted with a wireless internet adapter, and yet logistics are lagging behind. 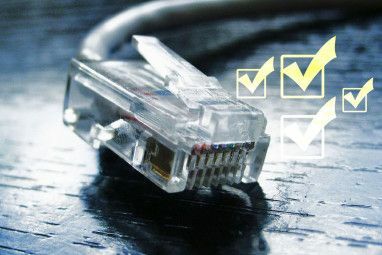 Hotel rooms, university dorms and offices often offer just a single wired connector, and unless you carry a router on you at all times, it means neglecting much of your technological capacity. That is, unless you’re using Connectify, a novel piece of Windows routing software that can instantly transform your laptop into a mobile WiFi hotspot. The prerequisites for using Connectify are simple; you need a Windows 7 laptop, with both a wired and a wireless network card. 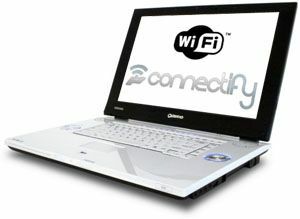 Connectify takes the internet connection from the wired input and uses the wireless technology in your laptop to create a hotspot. Once you’ve set up the hotspot, other devices can connect to the Internet through your laptop. At home, in a hotel or at your dorm; other computers, printers and gaming consoles can be connected wirelessly. When you’re out, Connectify allows you to connect with the mobile phones, laptops and netbooks of coworkers and friends. When traveling, you can pay for a single internet connection and get all your devices online. First, connect your laptop to the Internet via a wired connection. If you need to enter login credentials, or an internet access code, do this first and run Connectify when you’ve confirmed Internet access locally. 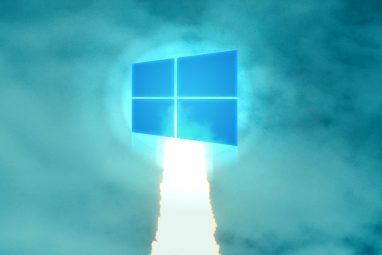 It’ll appear as a Wi-fi taskbar symbol. Use left-click to expand the application, or right-click to make some quick adjustments (shown below). Here you can configure the specifics of your mobile wi-fi hotspot. The three drop-down menus at the top are most important and allow us to specify the Internet input, output and output mode. You can use Connectify to create a wireless access point with WPA2 security, which will appear to other computers like a regular hotspot – optionally passworded, or an ad-hoc network. If you don’t know what is what, press Easy Setup Wizard. 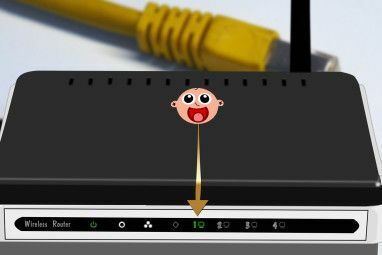 Because your router laptop has an incoming wired connection, you can keep surfing as usual, albeit with shared bandwidth. At the bottom of the screen, Connectify also keeps track of the connected clients and client history, i.e. who’s using your hotspot. If you see a computer that doesn’t belong, you can call up more information and block the client by right-clicking on the device name. With friendly devices, this also allows you to call up the shared drives and printers. Far too often, I’ve outnumbered the available internet connections with my mobile devices. Connectify has proven its use in this, being one of the only applications of its kind. Contrary to other alternatives, Connectify is also fool-proof and almost ridiculously easy to use. There’s no need to get in touch with your inner geek and you can get your own hotspot online in mere minutes. The application not only solves logistical problems, but also saves you the money of an expanded internet infrastructure or hotel access costs. In one instance, Connectify seemed unable to detect a working internet connection though; a repeating issue on that laptop. On the other devices tested, Connectify worked like a charm. If you have any problems like that, check out the [NO LONGER WORKS] help section on the Connectify website. What are your thoughts on Connectify? Do you know any other tools that enable you to share an internet connection with a score of other devices? Let us know in the comments section below! Explore more about: Computer Networks, Internet Connection Sharing, Wi-Fi, Wi-Fi Hotspot. hi its works seemlessly.I made my 3G usb dongle and my win7, wireless card in to wifi hotspot. Is there something like this for XP? Slightly more limited than an actual 'Wireless Access Point', you can create a standard Ad-Hoc network [Broken Link Removed] , as mentioned by Joe below.